VLV Singapore at Clarke Quay is a multi-concept dining and entertainment destination. 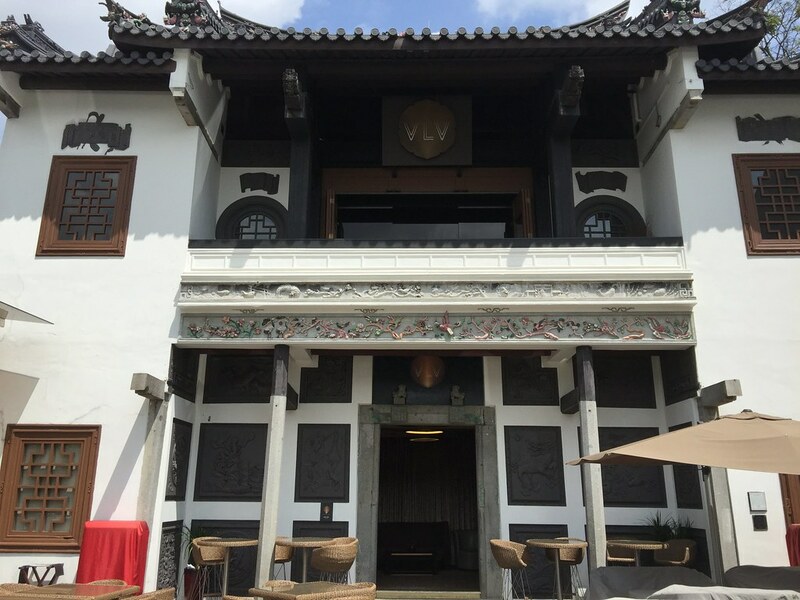 Housed in a heritage building along the Singapore riverfront, the premises consists of a Chinese restaurant, a plush ultra-lounge, an alfresco courtyard bar with live music and a riverside dining enclave serving fresh seafood. I dropped by the Chinese restaurant on a Saturday afternoon with my friends and we ordered a couple of their signature dishes from the dim sum and ala carte menu. 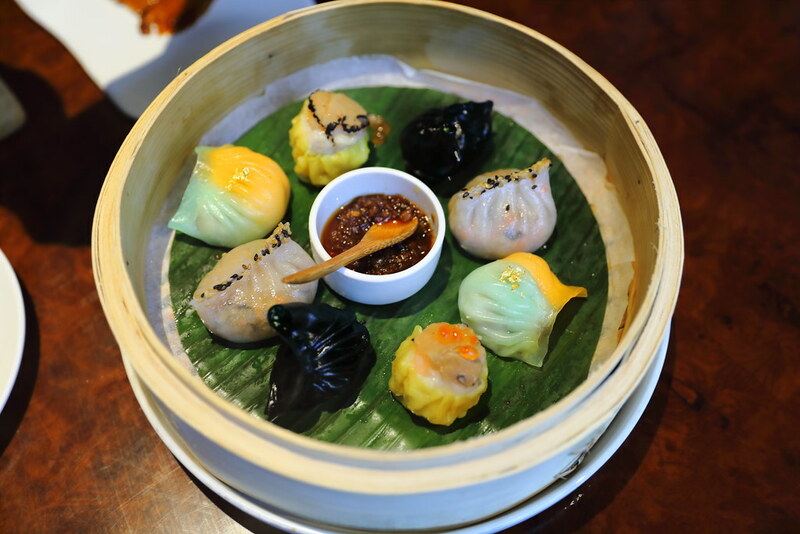 Starting from the dim sum menu, we had the Crab Roe Korobuta Siew Mai ($5.80 for 4pc). 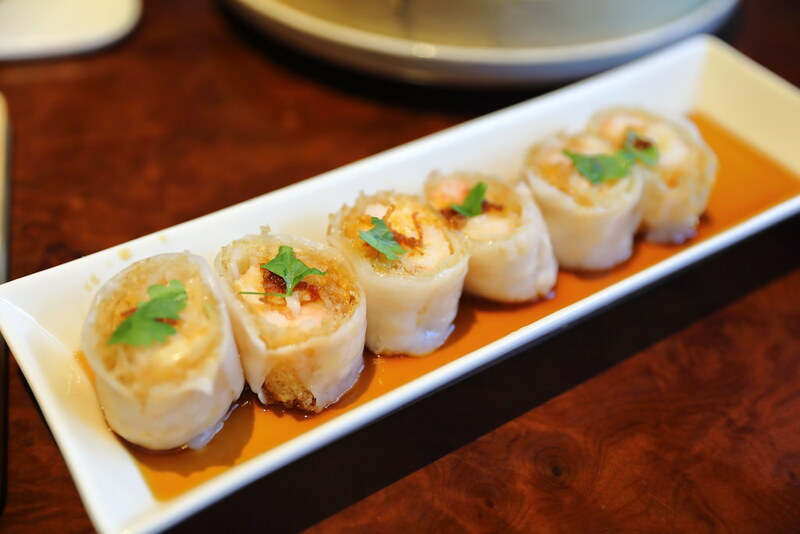 The siew mai was really plump, stuffed with the tender kurobuta pork, and crowned with crunchy fresh prawn and crab roe. 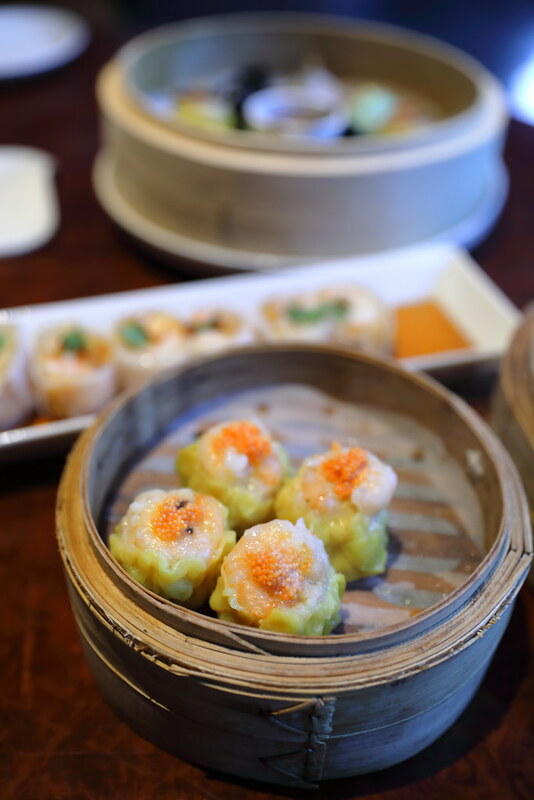 If you can't decide what to order, the easiest is to go for the Dim Sum Symphony ($28). The sight of the colourful parcels in the steam basket will whet one's appetite with its variety. 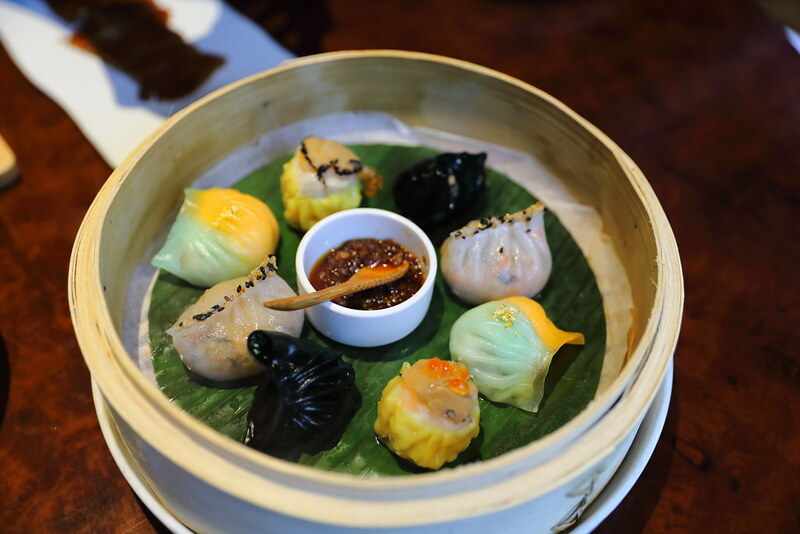 It consists of dim sum items such as golden flakes lobster, truffle siew mai, fish celery and veggie dumpling, served with XO sauce. Moving to the ala carte menu, we started with some Crackling Pork Belly ($18). Indeed the skin has a refine crispiness to it. However the sight that my pork belly is halved, instead of serving me the whole chunky piece has cast a shadow over the delicious piece of meat. 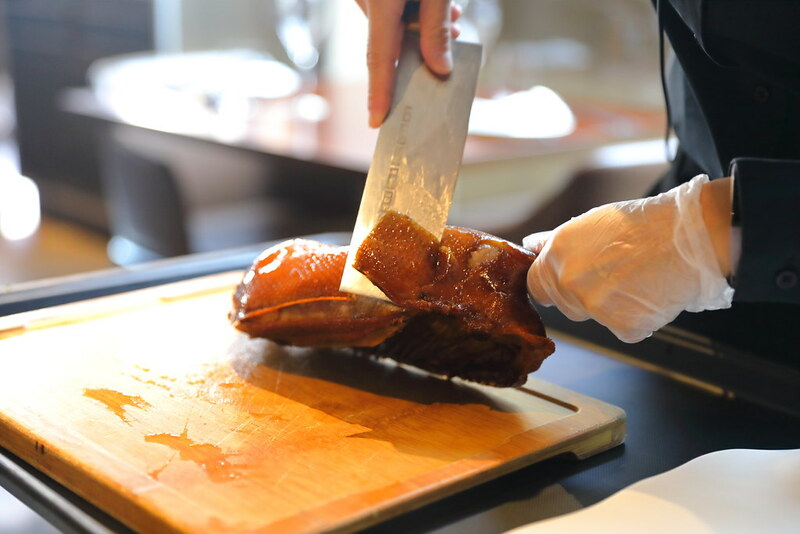 For our mains, we tried the VLV Peking Duck ($55 half/ $110 Whole). 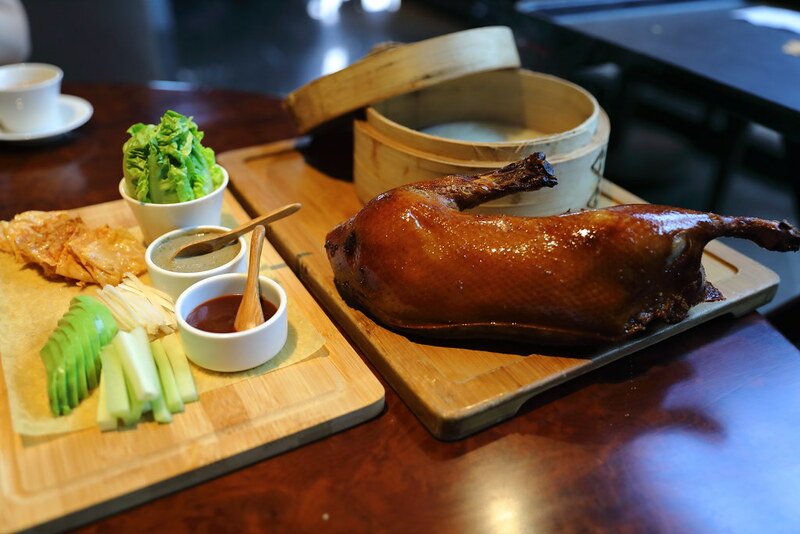 We ordered half the duck which comes with Japanese cucumber, baby leek, lettuce, avocado, beancurd skin and truffle foie gras paste. This is my first to have Peking with truffle foie gras paste, avocado and beancurd skin. 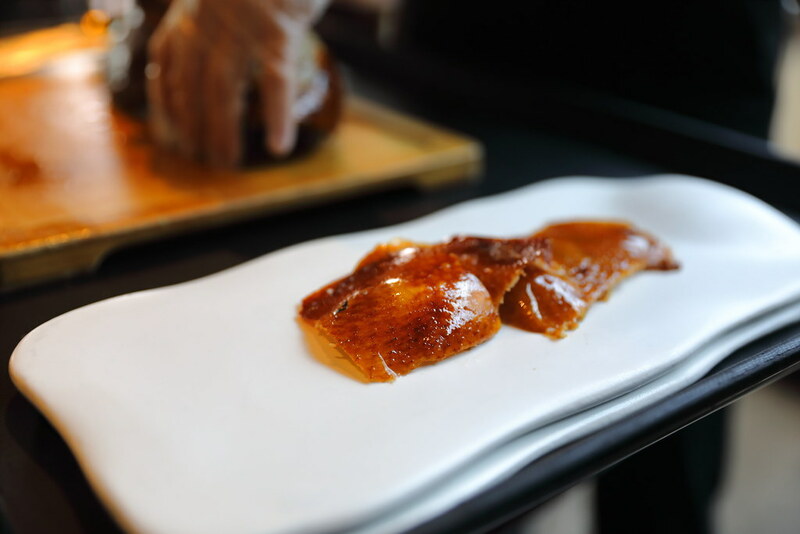 I actually like the foie gras paste compare to the usual sweet sauce. 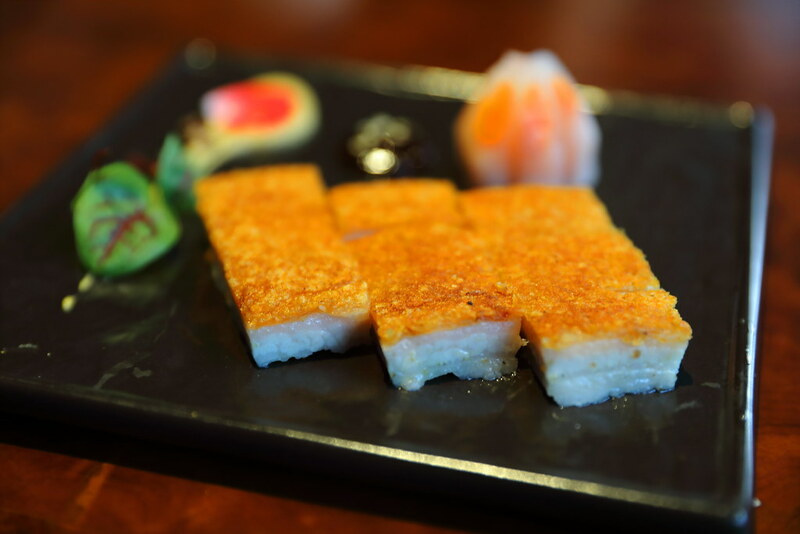 The crispy beancurd skin also give a boast in texture. For the remaining of the duck meat, diner has the choice of either cooking it in salt and pepper with housemade kimchi or served in a Spicy Duck Cone (half 6 cones/ whole 12 cones). I had the spicy duck cone which is kind of cute. Stuffed with minced duck meat in a mild spicy sauce, I didn't quite manage to wow me in terms of taste. 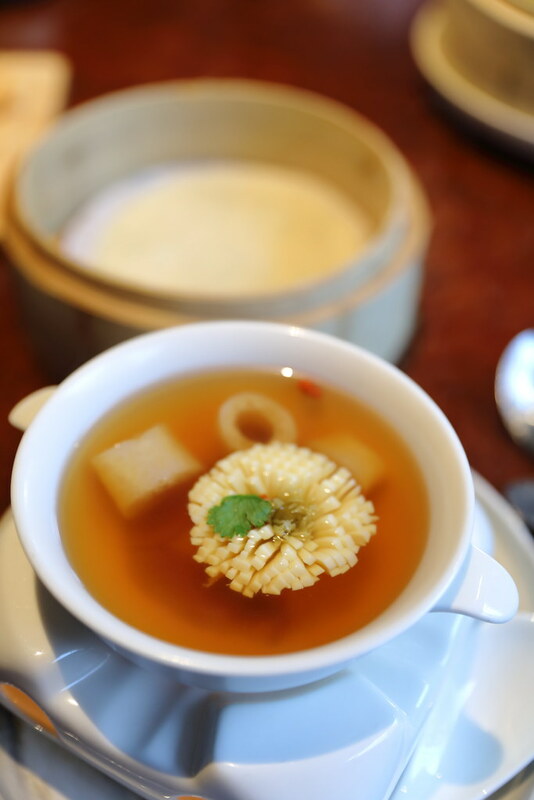 With all the rich flavoured dishes, it is good to wash them down with the Chrysanthemum Tofu Soup ($14/pax). 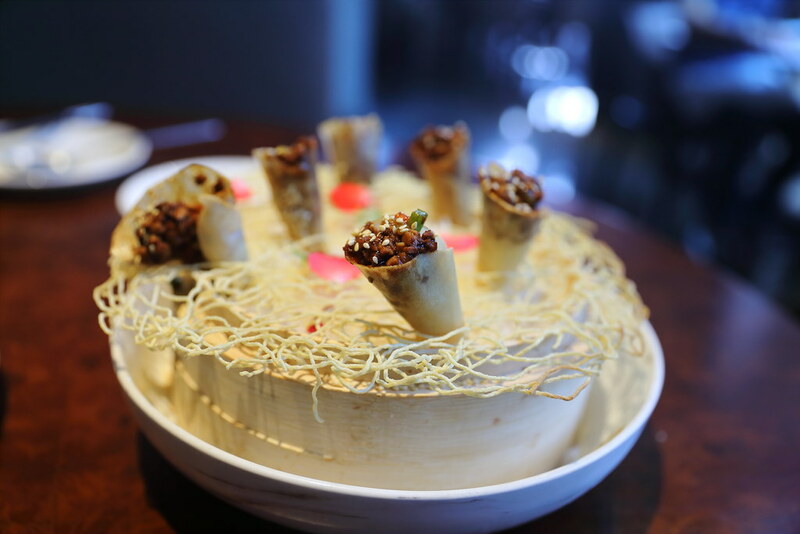 The beautiful tofu is craved into a chrysanthemum, demonstrating the knife skill of the chef. You can also find matsutake and bamboo fungus in the bowl of clear seafood consomme, giving it a subtle earthy finishing. 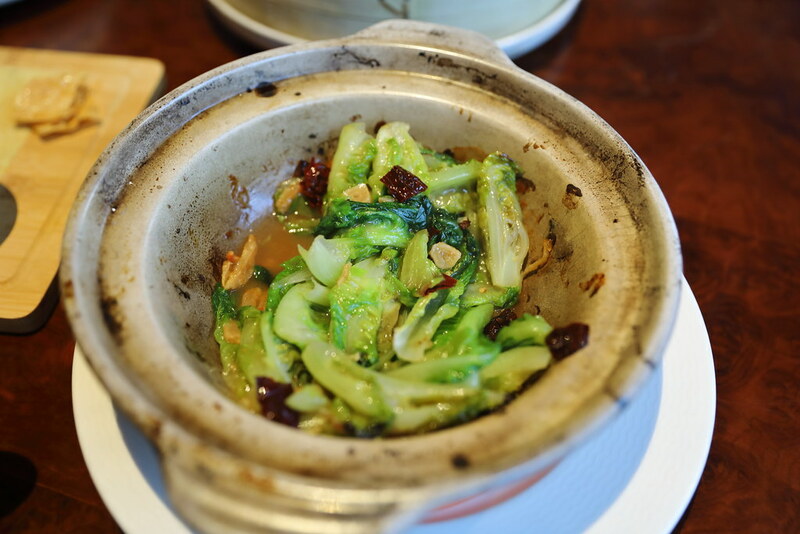 We have mixed opinion of the Sizzling Romaine Lettuce ($20) which is cooked in dried shrimp and prawn paste. While some find the taste rather complex or over powering, I like the unique combination of the crunchy greens and prawn paste, which is rather bold in my opinion.